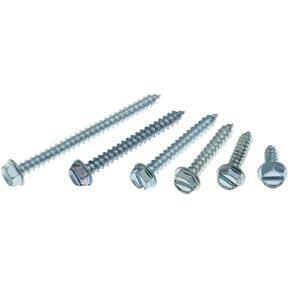 Minerallac 39561 - #8 Hex Washer Head Sheet Metal Slotted Screw Kit, 285 pc. 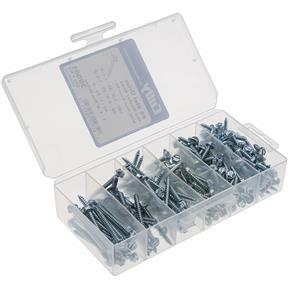 This zinc 285 pc. #8 Hex Washer Head Sheet Metal Slotted Screw Kit comes in a reusable plastic case and includes the following screw sizes:(100) 1/2"(60) 3/4"(40) 1"(35) 1-1/4"(25) 1-1/2"(25) 2"